Bicycles in Samara/ Carrillo today. 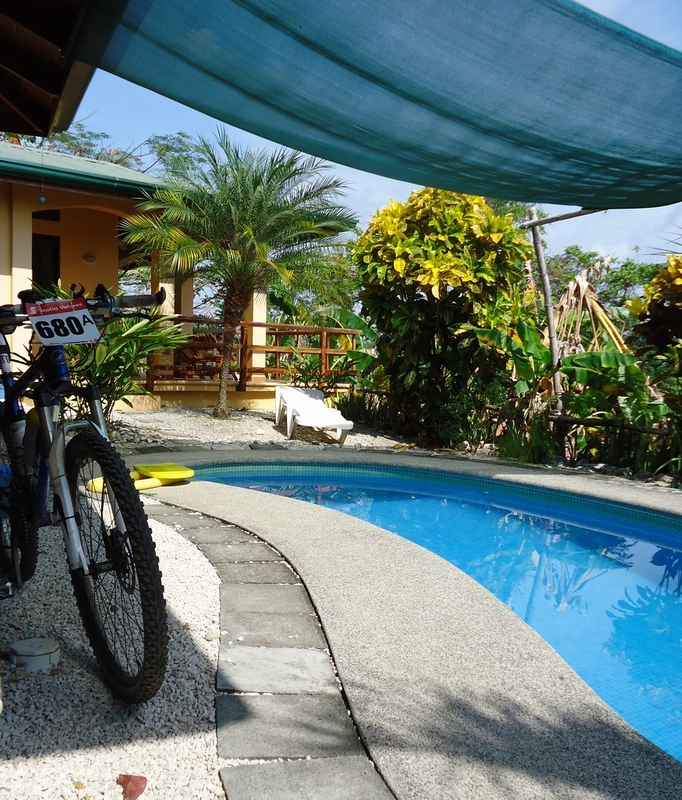 More than 1100 bicycles headed for the hills yesterday from the former airstrip at Playa Carrillo. 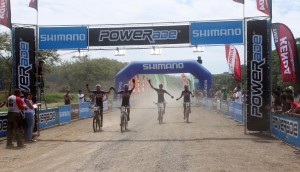 Duran and Carballo won the 58 kilometer Soledad Recorrido with a time of 54 minutes 51 seconds. 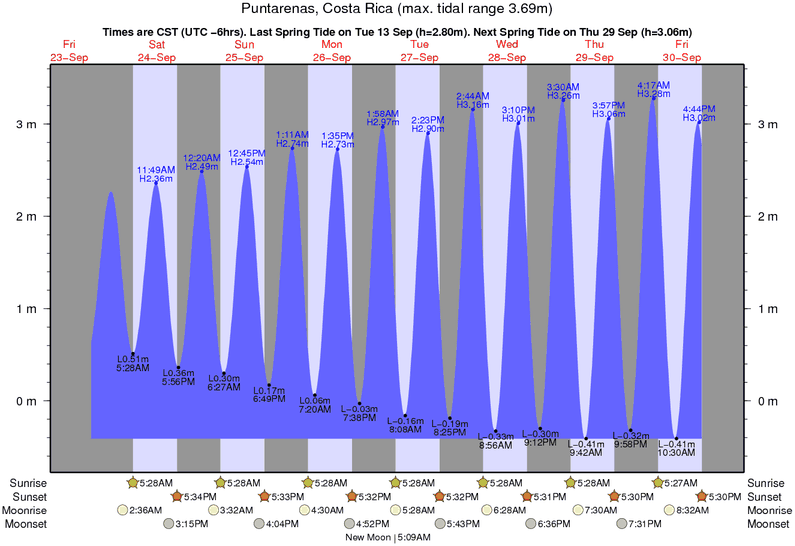 You can see the map of the route at http://www.cicloguilly.com/cms/wp-content/uploads/2012/04/Mapa-copy.jpg. 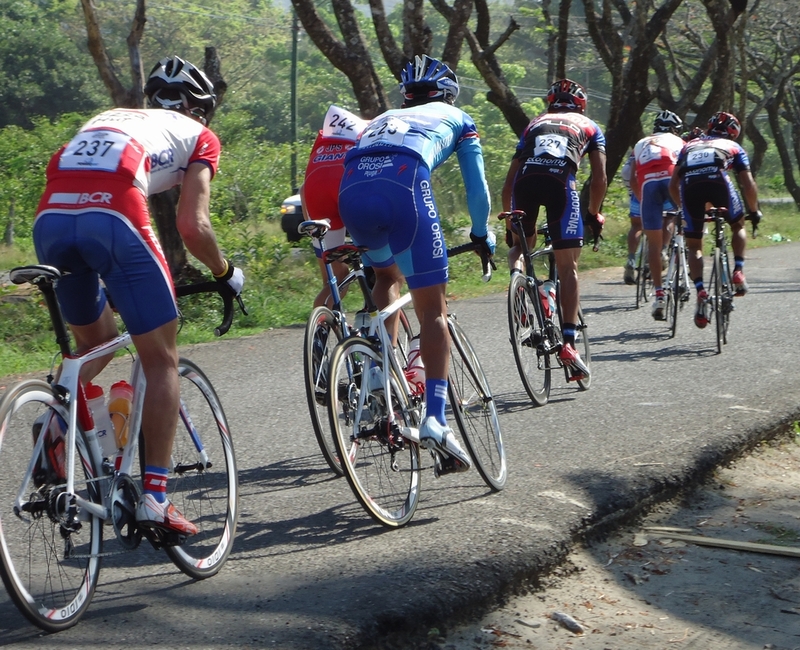 Today, the 88 kilometer Ruta is the road race with several loops of the paved course between Carrillo and Estrada. Two of our guests at Casa Mango and Casa Papaya, Ronald Araya Garcia y Jose Joaquin Mora Quiros, won the Soledad in their categories: Open and 60+ respectively. I knew these guys and their compatriots were serious when they arrived with 6 mountain bikes strapped to the roof of 3 matching white sedans. They looked like a winning team. 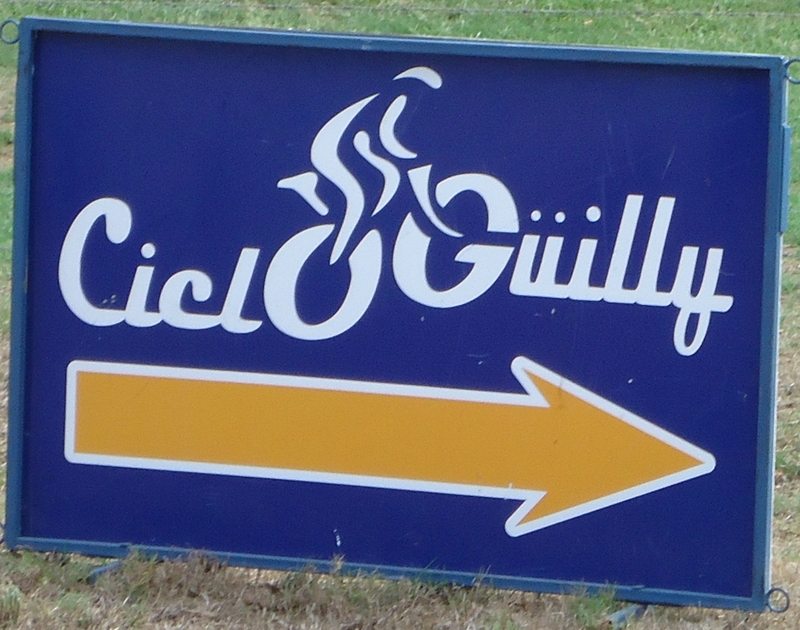 Ciclo Guilly organizes bike races throughout costa Rica. 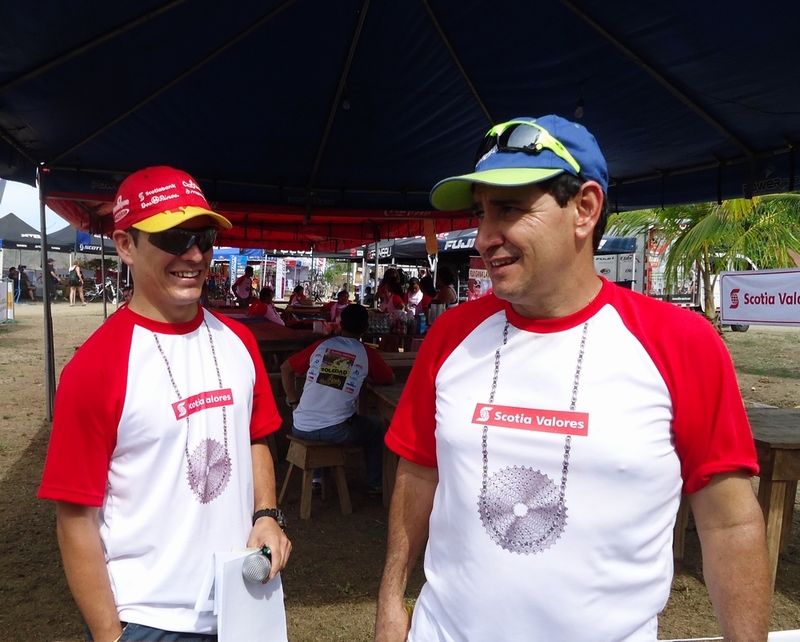 The Soledad Recorrido event is organized by Ciclo Guilly (the closest approximation in English is “seeclo Weegy” and named after this guy on the right) and returns to Samara /Carrillo twice each year. 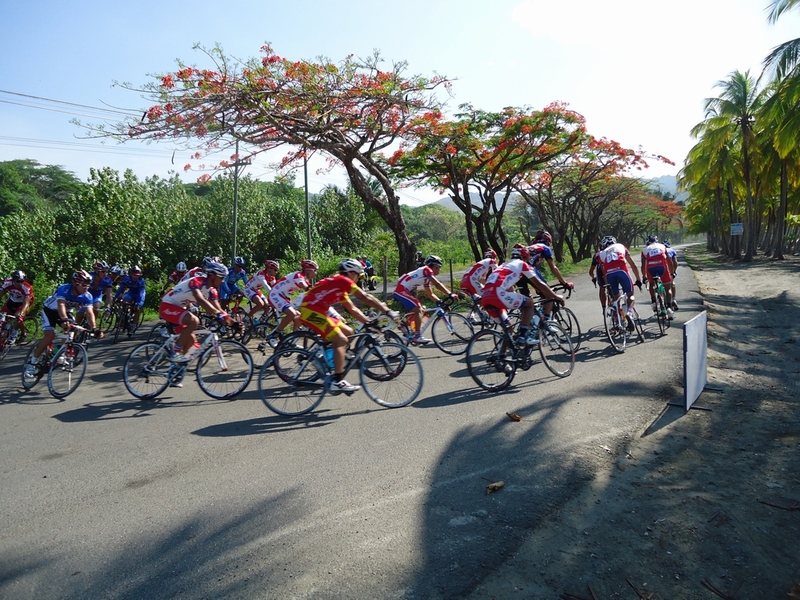 Throughout the country, Ciclo Guilly holds more than 40 races annually.